If you haven’t had a chance to attend SMMW17 (or watch all of the presentations yet), we got you covered! At the end of March, we had the wonderful opportunity to attend Social Media Marketing World in sunny San Diego, California. This event was jam-packed with fascinating expert speakers, passionate about social media. We put together a comprehensive breakdown of the most important things we learned. Michael spoke about where the social media industry is headed, you’re going to want to pay attention to this. We’re glad we did! There were tips on understanding Facebook algorithm and at least trying to make it work for you. Facebook really wants people to see quality content. It is designed to help consumers have an incredible experience. 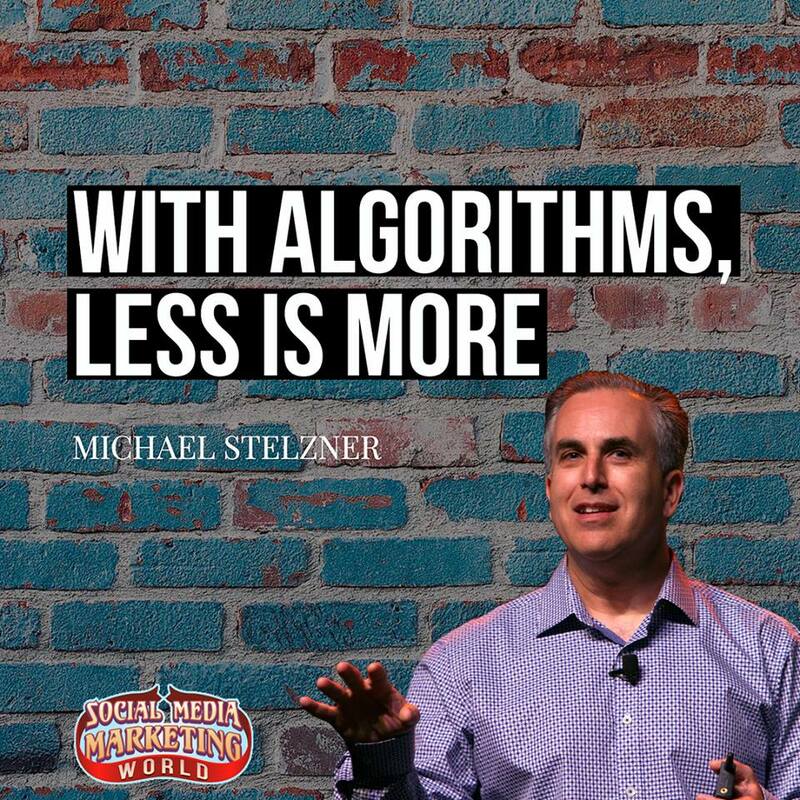 Your content gets scanned by the algorithm, whether it’s text, image or video (video gets the #1 preference), and if people react (by a like, click, comment or share), the reach is expanded. Keep in mind, it’s no longer based on time of the post. Facebook no longer has room in the newsfeed for ads, so this means there is even less reach for the organic content and it all leads to making it harder to grow your business through social. One fact we found fascinating was that: 2 out of 3 marketers say that Facebook is the most important platform for them. If you want to get more exposure, Michael recommends mixing up your content & so do we! Focus on educating your audience, but don’t only post business stuff, try to entertain them too. Also post content from other sources, not just you. All of this together will get your audience to engage with you more. Michael told us that 85% of marketers use them; 41% of marketers claim visuals are the most important form of content, more than blogging, videos or podcasts. You need to re-think your Facebook posting strategy to comply with the algorithm. Fortunately, there is a way to break through the algorithm – try with Live videos! Facebook really wants users to consume live video, so it gives priority to it. Keep in mind that Facebook is heavily investing in Messenger too. One thing we found very exciting – did you know that you can sell through Messenger??? So you can have your customers interact with bots through Messenger. Creating amazing content will always stand the test of time, something we’ve told you all along. When people share content, thus making the algorithm work for you, the content establishes thought leadership and makes your business indispensable. This is exactly what you want! Remember – Facebook Live is the current leader of the pack. According to Michael, the future is behind personal messaging apps – Facebook Messenger, WhatsApp and the likes. It might not be 100% clear yet to all of us how all of this will develop (obviously bots are already playing a big part), but that seems to be the trend. Now the very first tip Mari shared with us is a real stunner, you’re going to want to pay attention to this: Facebook is actually running out of ad inventory and it’s getting much harder to cut through. So what do you do if you want to grow your audience on Facebook? Instead of advertising to people who could actually turn out to be irrelevant, why not upload your own custom audience? Mari’s marketing theory is simple but important to grasp. It’s something we’ve talked about here too, but listen to how she puts it: she says there are numbers-based marketers, who only care about the numbers and graphs, and then there are heart-based marketers, who truly care about the people they are reaching. They deeply understand their needs and how their products and services can help to solve their problems. You know that “traditional” marketing is the numbers based, BUT social media marketing is really the heart-relationship based type of marketing. What you need to do to be really successful, is actually merge these 2 types of marketing. Because if you make people happy, then you’re going to make more money. Those positive emotional experiences from top quality customer service and experiencing your products are equaling more sales. With content to help your Facebook ROI, Mari suggests you focus on video, because it gets 3x the engagement of other content. What really surprised us is that only less than 1% of the posts a week are video! Know that your competition is UNDERUTILIZING video – so you should do it to improve your ROI. What type of video is best? The square video format is best, both on Facebook and Instagram, getting 20% more views. We weren’t surprised to hear that people look at video content 5 times longer than at static. Want to hear something cool? The Facebook algorithm actually knows if you are a sophisticated advertiser – or a newbie! Instagram has become a very popular social media channel. We’ve talked about it before, and how it can help you. So you can understand why we were eager to hear what Jenn had to say. Instagram is actually used by 1/3 of ALL PEOPLE who use the Internet! A huge audience you can reach! What’s exciting to hear too, is that the traffic from Instagram has a much lower bounce rate than on all the other Social Media platforms. It also has the highest engagement rates, and one of the very strongest set of community business tools. If you are thinking of upgrading to an Instagram business profile, the Contact button is actually the best reason to do so. We recommend you take a look at this. People are closing sales within hours of opening their business accounts, because their audience can find them easily on Instagram and call them instantly! Remember: to do this, it has to be connected to a Facebook business page. Understand that both your name & username are the ONLY searchable criteria. So do not put #hashtags within your profile description, they are useless. Try to add a keyword in your Name (not your username). Jenn explained, if you are a photographer, for example, then choose a name such as “John Doe Photographer” as your Name. It’s critical to have that keyword in your Name or Username so you can easily be found in search results. Just as we’ve explained with other social media bios, your Instagram bio is an “elevator pitch.” You are sharing information especially with first time visitors to your profile, it’s an introduction. It’s important to add a call-to-action in your bio, but also try to make it fun & engaging. Some like to use emojis to do this. There are lots of types of content to share on Instagram, such as products or services, offers and promos, behind-the-scenes, tips or tutorials, greetings or messages, contests or giveaways, exclusive content only for your Instagram audience. Jenn recommends that you use only “organic” style images, not like in magazines, overly staged. It is better at making emotional connections. You also want to be a bit of a storyteller to connect, so tell your company or brand story – how it started, how it is growing. Even as a solopreneur, not just a bigger company! To be successful, both Jenn and we recommend that you create consistent and recognizable content, that would make people connect emotionally to your brand. Remember you will always attract attention by creating quality captions, being descriptive and entertaining, educational and informative. Keep your content “short & sweet” on Instagram – at about 1-3 short paragraphs, with 2-3 sentences per paragraph. Add text on the image and tell people what you want them to do – click on the link in your bio, use the hashtag, tag someone, or another short Call To Action. Instagram ads use Facebook ads targeting platform. But, you can reach NEW audiences on Instagram. We especially like Instagram for businesses, because the costs are affordable, budgets are lower than for Facebook ads. Want to know, what to promote in your ad? Focus on value for your customer: resources and downloads, webinars, campaigns, flash sales, local events etc. Always do remember the Call To Action button at the end! 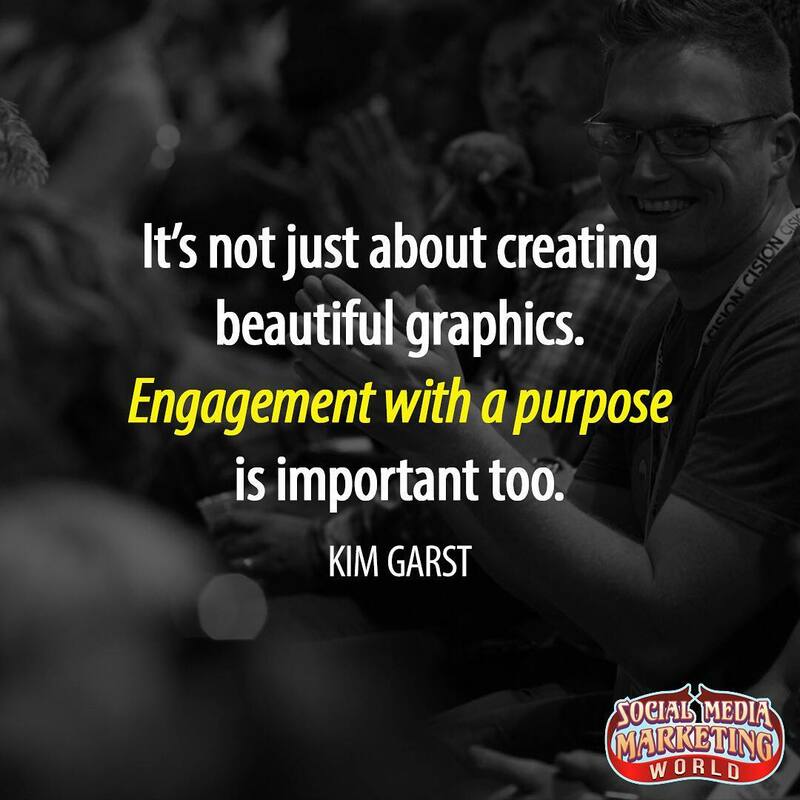 Kim is passionate about SMM, but truly passionate about VIDEO. People are not on Social Media for money, they want to connect with friends and family there, something that we really agree with. Kim explained that if you want people to watch your videos, you have to bring value to them and they should trust you. Because people buy from those they know, like and trust. She’s made 5 – 6k videos up to now. Kim made an excellent point, that within the first 2 minutes, people decide whether they want to watch this video or not. One great tip Kim had was that the path to profit starts with serving up value based content. Video is a piece of content and content is king. So you should spend as much time as you need, to create a great & valuable piece. Videos can also be transcribed into video posts. But Kim also admitted something that we all know: creating great content is tough! Kim reminded us that we will spend 6 hours writing a blog post, that you can use LIVE videos to tell the ideas from your blog and then transcribe the video. If you are new to video, she offered an excellent tip, you don’t have to go public first, try it “solo” or with a friend with videos before going public. You can use videos everywhere – Facebook, Twitter, Pinterest, Instagram, Snapchat. Kim suggested making 1 minute video clips of your talking points. You can take a video and cut it into 5 – 10 pieces, which we think is a great idea. Kim reminded us that sometimes we go LIVE and think “I rock” and we do. But not to make videos if you don’t want to, because people feel your mood, we know that’s true too! For Pinterest Kim suggests 1 minute video clips, which we think is a great idea. The way to do it is to upload them on YouTube and then share on Pinterest. Kim told us that you actually can pre-record, then upload to Snapchat Memories so you can add to Snapchat stories. The site will easily cut the video into 10 second increments. Kim reassured us that you can do well even if your social presence is not as strong as you’d like it to be. This is something we all should keep in mind, looking at our overall marketing and how it can enhance our reach. Her friend had an e-mail list of 10K and then started to use Periscope. She told people about her LIVE videos via e-mail list and was able to sell 1,500 packages successfully with videos. We think that’s great! Moving people to your list is very important. Get organized and prepare checklists and worksheets. Kim does something we always suggest too, share your ethical bribe on your LIVE broadcast. She advises to make product demos whether it’s digital or not. Now with LIVE videos you can share your screen. Some professions such as Real Estate Managers, schools, restaurants can use videos for LIVE tours. 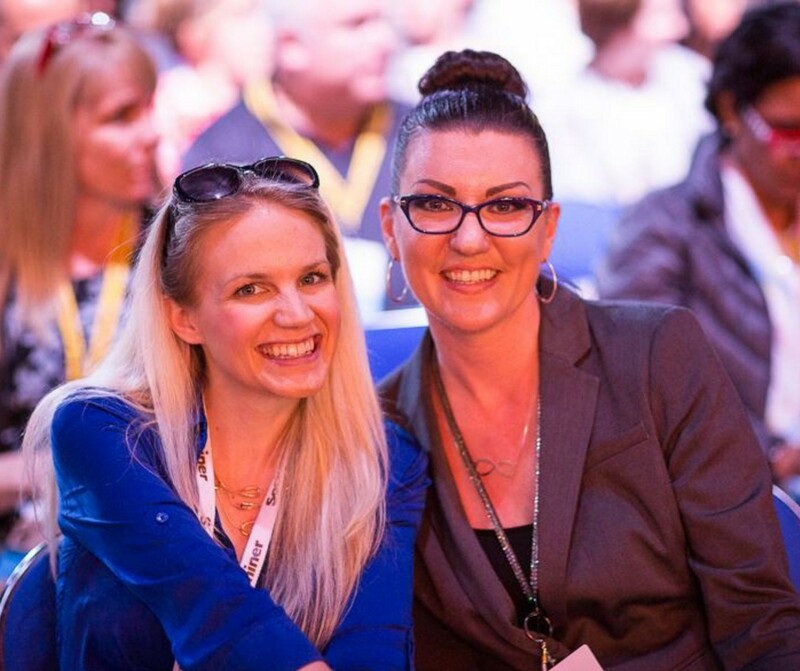 For LIVE training events (webinar), Kim got 900 people on one. Kim’s final tip is something we all need to keep in mind: don’t sell. SERVE! It’s hard but it’s true. If we do that we win. 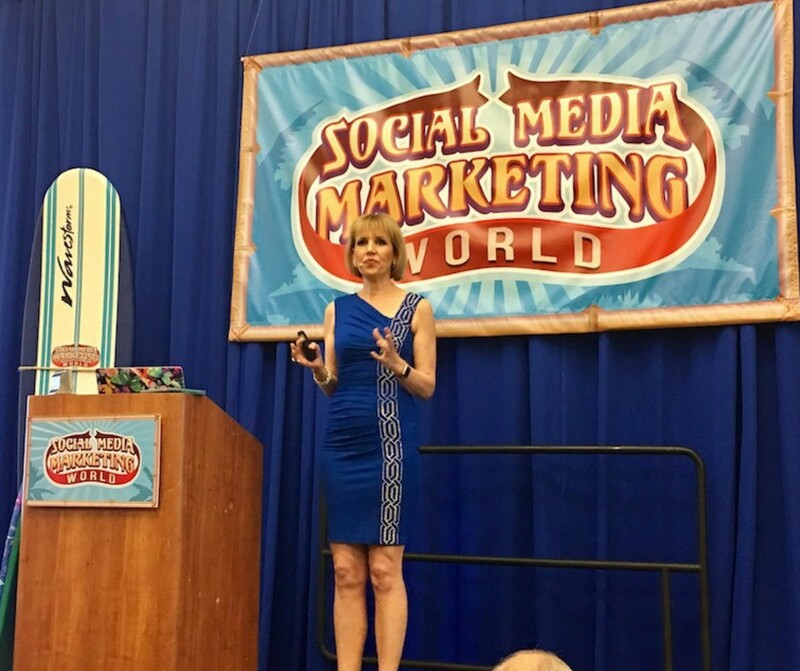 Attending SMMW17 was a one-of-a-kind experience & it was amazing to hear what these experts had to say. It was an ideal opportunity to connect with top thought leaders. We’re happy to share these latest trends and tips with you, so your social media and content can be the very best that it can be. Let us know what changes or updates you plan to make, in the comments below! And stay tuned for part 2 coming in 2 weeks! VP of Partnerships @ PromoRepublic by day. Darth Vader disciple by night.